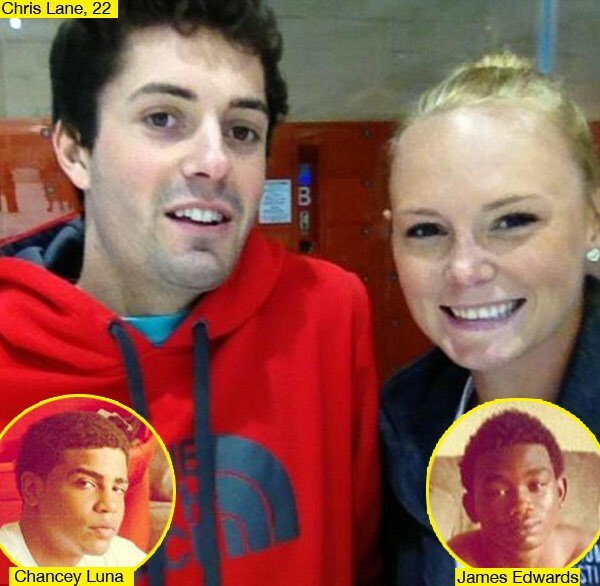 Glenn Beck puts the racist murder in Oklahoma of Australian baseball player Christopher Lane into the wider context of Obama's double standards on race, and where the USA is headed. Despite Beck being mostly without a racial identity, this is a good video nonetheless. "Stephens County district attorney Jason Hicks said there was not enough evidence collected so far in the investigation to indicate Lane’s killing was motivated by race. “At this point, the evidence does not support the theory that Christopher Lane was targeted based upon his race or nationality,” Hicks said in a statement." If a person tells his friends, as did James Edwards, that he hates a certain category of people and then goes out with his friends to kill a person from that category with no provocation, there is enough evidence to consider it a hate crime. If this is not potentially a hate crime, then no crime is. Of course, there should be no such thing as the “hate crime.” All crimes are acts of hatred. But the term adds prosecutorial leverage to crimes committed by white, heterosexual men, and that is its only purpose, which makes it useless when it comes to Christopher Lane. The public laps these assurances up. The disturbing desire for justice must be wrong. There will be no justice. There will be a prolonged trial, followed by years in a recreational center for the convicted, followed by more murder. File under: the black man will have the whip hand.